We write as part of a group of 17 UCLA graduate students in Architecture, Public Policy, and Urban Planning who co-facilitated a course, “Abolitionist Planning in Today’s Political Conjuncture.” In a political moment in which a new state “fully committed to white supremacy, misogyny, and virulent nationalism” is deriving political power through racist sentiments, we sought to invoke abolition in our study and practice. Still reeling from the outcome of the 2016 US presidential election, we were inspired to analyze the moment by asking how urban planning in theory and practice can respond. The rise of “Trumpism,” as Ananya Roy has discussed, represents a turning point where urban planning must critically examine anti-colonial and anti-racist praxis. To this end, we produced an abolitionist planning guide for urban planners in 2017. 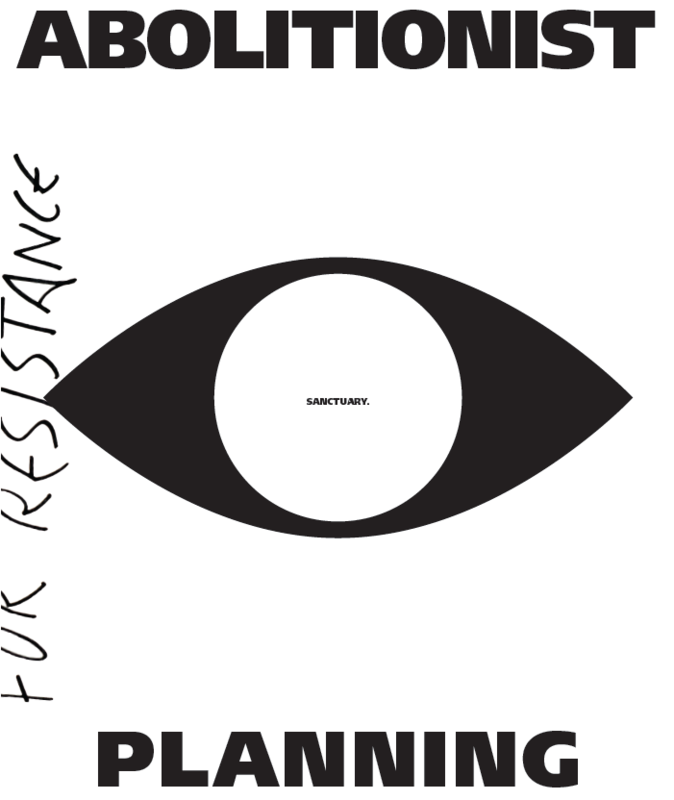 We define Abolitionist Planning as a framework for urban planning practitioners to combat and reverse oppression of marginalized communities while also deferring to the experiences and expertise of these communities. While “abolitionism” commonly refers to the movement to end the African and Indian slave trades, we use the term more broadly to refer to the abolition of racial inequality across societies. As W.E.B. DuBois’s Black Reconstruction makes clear, a just redistribution of economic power did not occur following the abolition of slavery. Instead, systemic racialized political and economic violence against people of color continues to this day, intersecting with other systems of oppression and advantage. As much of this violence occurs in cities and manifests in unequal access to housing, transportation, environmental quality, and other human needs regulated by urban planners, Abolitionist Planning requires planners to alter the profession’s technocratic mindset and instead directly challenge systemic racism towards Black and Brown communities. Our position as students allows us to unravel the “expertise” of urban planning as we are being trained to analyze urban policies and processes in an objective (and often quantitative) manner. We have laid out various avenues in which abolitionist planning can be implemented theoretically and practically. Examining abolitionism involves confronting the historical role of urban planning in producing racialized landscapes of exclusion. These landscapes, in which people of color currently live in housing and neighborhoods that are spatially and economically segregated from wealthier and whiter residents of metropolitan areas, remain the context in which planning decisions are made today. While explicitly racist planning practices that led to this spatial and economic inequality, such as redlining and exclusionary zoning are no longer practiced, the wealth and power of predominantly white homeowners and developers allow implicitly racist planning practices to continue. Factions of urban planning, whether they are suburbanites opposed to nearby multi-family housing development or urbanists developing luxury housing in gentrifying neighborhoods, can then be understood as enforcers of racial liberalism, which promises individual freedoms while perpetuating the exploitation of racial capitalism. The system of racial control is pervasive throughout planning and public policies. Embedded within this framework is a reinforcement of color blindness which mischaracterizes our present as “post-racial” where we have already successfully achieved civil rights and multiculturalism without addressing justice. Leonie Sandercock in the essay “Planning in the Ethno-culturally Diverse City: A Comment,” has drawn out this misnomer revealing that racial and economic justice are central to any achievable multiculturalism. Traditionally, abolition is a historical movement to end slavery by challenging the actions of white dominant classes. However, our economic system continues to strip the income and social power from people of color to perpetuate white dominance. Our abolitionist planning resistance guide is an effort to help abolish the barriers of racial liberalism which negates racial histories of violence. We draw from the Movement for Black Lives which has produced a political standpoint for and had great success in confronting racial liberalism by drawing the nation’s attention to police killings, mass incarceration, and economic degradation. The application of city planning mainly as a technical field rather than a social one is detrimental to the creation of equitable societies. The failure to create a just system for marginalized groups encourages the guise of being “progressive” when it should instead create forums that prioritize the points of view of the oppressed. “Abolitionist planning” eschews tokenization in favor of a planning process led by marginalized groups seeking societal transformation. We see it in the radical communitarian vision of Cooperation Jackson and others in Jackson, Mississippi, a movement which now counts the Mayor, Chokwe Antar Lumumba, as one of its members. The push towards cooperative economies and black self-determination that this movement embodies has the potential to reimagine what a city government can be and can accomplish in the heart of the former confederate south. Although there is a long history of resistance to entrenched local governments, the growing movement to remove confederate statues from public spaces represents a contemporary step towards reclaiming and transforming communities. Control over public spaces has also been historically oppressive to disenfranchised queer communities, a problem that has been exacerbated by Trumpism. As articulated by scholars such as Kian Goh, the battle for “the Right to the City” involves queer individuals of color who have been disenfranchised and thrust into poverty and homelessness. Community organizations such as FIERCE, based in New York City and focusing on the piers of Hudson River Park, deal with the expulsion of familiar homelessness by addressing the systems that perpetuate it. For example, some city ordinances are publicized as a way to protect community welfare, but operate in a context in which queer individuals are specifically targeted. This is especially the case for those of color who already face internal oppressions from the general LGBTQIA community. Goh, in her piece “From and Toward a Queer Urbanism,” utilizes the term “re-queering” to explain the process of reclaiming queer spaces from an increasingly mainstream and heterocentric culture. Incorporating lessons and guidance from these movements of just and equitable methods of planning would prove beneficial to all communities, but are especially important for those communities that have been paraded as meccas for queer expression, yet still suffer from the same racial injustices that plague other areas of planning. Just as homelessness is fundamentally a housing problem, so too is the surge in gentrification of center-city neighborhoods and the resulting displacement of communities of color. In public discourse, housing is constantly in crisis, and the persistent shortage of affordable housing and ubiquity of predatory lending practices has been borne heavily by black Americans both before and after the 2007-2008 subprime mortgage meltdown in the United States. Debates about how to characterize and address this crisis are acrimonious in American cities. Intra-left debates between YIMBY (Yes-in-my-back-yard) activists and tenants’ rights groups have distracted housing advocates from the shared framework that can be found within abolitionist planning. Tenant activists deeply distrust real estate markets which continue to seek profit even as they create displacement. YIMBY groups, while their aims and methods are diverse, aim to unlock both private and public housing production to increase housing supply within cities. If these advocates are to stem the tide of displacement, they must challenge the white supremacist history of zoning and land use controls while continuing to struggle for increased tenant protections. A simple drive towards “unlocking the market” may result in increased multi-family housing production. However, the race-based history of zoning ensures that multi-family zoning is predominantly found in vulnerable neighborhoods of color, many with histories of displacement through “urban renewal” in the 20th century. Actions to unleash real estate development in these places creates housing at prices out of reach for local residents. This construction has accelerated displacement, and will continue to do so. An abolitionist planning framework challenges landlord and wealthy homeowner power margining human dwelling as an economic and ecological issue. Housing, both market-rate and subsidized, can be built in wealthy neighborhoods where displacement risk is low. Simultaneous action on right-of-return policies, strengthened rent controls, community land trusts, and other policy tools can help to stabilize struggling communities and keep people in their homes. The government must also intervene to ensure the maintenance and creation of truly affordable housing. We support the expansion of funding for housing subsidies at all levels of government. Public housing, long denigrated in national discourse, must be brought back as a tool to create permanently affordable housing. Housing is a human right, and must be treated for its value as a home, not a commodity. These measures are crucial. Left unchecked and unchallenged, current models both augment white wealth and assets and contribute to what some scholars term “racial banishment,” the expulsion of people of color from the city and its conversion into a stronghold of the rich. Housing policies, such as rent control and more aggressive policies requiring developers to create more affordable housing, such as those advocated by former Seattle mayoral candidate Nikkita Oliver would protect existing tenants while also encouraging the development of new affordable housing. It remains difficult, and thus incredibly important, to incorporate the consideration toward the livelihoods of marginalized groups into the conversations about the environment as too many people still perceive environmental issues as separate from race, class, and gender. Environmental policies, when created and enacted by privileged individuals with little to no experience working with low income communities of color, can actually harm regions already suffering from economic and environmental hardship. If handled poorly, environmental policies can solely benefit the privileged upper classes or pressure low-income communities into becoming “model citizens” that carry the most environmental responsibilities. As a result, even as regulations on pollution and resource use become stricter, the class and race dynamics often remain the same. For example, efforts to create more transit-oriented development may lead to more accessible businesses and amenities, but in turn they might increase housing costs that exclude low-income people of color and re-create the effects of past racial covenants. It is crucial that our environmental policies go beyond “business-friendly” solutions and instead prioritize those who are most vulnerable to ecological catastrophe. Just as YIMBY housing activists must confront that often multifamily construction can mean displacing communities of color, sustainable transportation activists must recognize that pedestrian safety enforcement can enable unjust actions by police. The Vision Zero movement, which aims to eliminate all traffic fatalities, has led to education and infrastructure enhancements across Los Angeles, including some communities of color. However, the city’s approach to Vision Zero also involves more enforcement of traffic violations, meaning more opportunities for racial profiling and police brutality. The city has responded by asking for more participation in the enforcement process, yet as Adonia Lugo describes, “asking affected communities to take on the burden of figuring out how to make Vision Zero work in a landscape of police violence is dismissive at best and insulting at worst.” This is similar to the enforcement of Vision Zero in New York City. As Josmar Trujilio has discussed, the vision of safety has led to increased harassment of documented and undocumented delivery cyclists, leaving them prone to deportation. As students, we are just beginning our efforts to reshape urban planning in our careers and personal lives. What we propose will not produce immediate change in the field of urban planning; yet over time, this framework will allow us to reclaim the field of urban planning as a tool for resistance and grassroots social change. Further, many of us come from privileged backgrounds, and have learned from and are committed to the leadership of marginalized communities. We will continue to study and disseminate examples of abolitionist planning from across the globe, but we will also do what we can to support abolitionists in and around our own communities. Thomas Abbot is a master’s student in Urban Planning at UCLA’s Luskin School of Public Affairs. He was born in Atlanta, Georgia and attended Pomona College before working in international urban sustainability at the World Resources Institute. He is interested in housing and land policy, Latin American urbanism, and housing provision outside market structures. Roxana Aslan is a master’s student in Urban Planning at UCLA’s Luskin School of Public Affairs. She is from Los Angeles, California and attended UC Berkeley and USC where she received a B.S. in Environmental Science and Health. She is interested in community economic development and housing as well as environmental analysis and policy. She is passionate about studying and advocating for labor rights, social and racial justice, environmental sustainability and active transportation. Riley O’Brien is a master’s student at UCLA’s Department of Urban Planning. He is interested in pedestrian and bicycle safety, transit fare policy, and equitable road pricing. Before attending UCLA, Riley studied at UC Berkeley and worked in education and sustainability. Nathan Serafin is a master’s student in Urban Planning at UCLA. He was raised in Garden Grove, California and acquired a degree in Society & Environment from UC Berkeley. He is interested in applying sustainability, safety, and equity for marginalized communities towards his emphasis in transportation.